As a Senior Software Control engineer you will be responsible for the modification and extension of the existing Nordson DAGE software particularly in the areas of x-ray test systems image processing and image analysis. 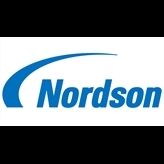 Nordson DAGE has developed world-leading products for testing wire bonds on semiconductor packages such as BGA, Chip Scale Packages (CSP) and other electronic components. Develop and maintain machine control and analysis software for Nordson Dage tools. Transfer software into volume manufacture. Support and debug field issues. Educated to at least degree level or equivalent in an appropriate scientific or engineering discipline. Software control of machines or robotic systems. C++ development in a multithreaded environment. Software design and architecture experience. Understanding of the physics of X-Ray inspection. 2D imaging, image processing and analysis. Advanced Microsoft Office and Excel skills. C# development in a multithreaded environment. Visual Studio 2013 or later IDE. Office or Manufacturing environment. To perform this job successfully, an individual must be able to perform each essential duty satisfactorily. The requirements listed above are representative of the knowledge, skill, and/or ability required. Reasonable accommodation may be made to enable individuals with disabilities to perform the essential functions. Regular travel between Aylesbury & Colchester dependent upon business needs. Some international travel to customer sites.